Last week the Australian Government unexpectedly granted our dear friend Corina Moo a refugee visa to come to Australia. No one was more surprised than Corina! Corina applied to come to Australia as a refugee following a serious health scare last year. From that time the camp environment has continued to impair her health to the point that we were convinced that in order for her to recover she needed to be in a safer medical environment. So, last year at our suggestion she applied for refugee status with the Australian government and to everyone’s amazement last week the Australian Government granted her a visa to come to Australia. What is such surprise is that over the past 12 months the number of visas available has reduced dramatically and the application process usually takes more than two years. Corina’s visa has been released in just 11 months. Corina will travel to Australia in June and will be reunited with her sons and granddaughter. She told me earlier this year that if she ever came to Australia she would ask God to give her a shady tree that she she can sit under ans read a book! We hope that this desire and many others come true for her. 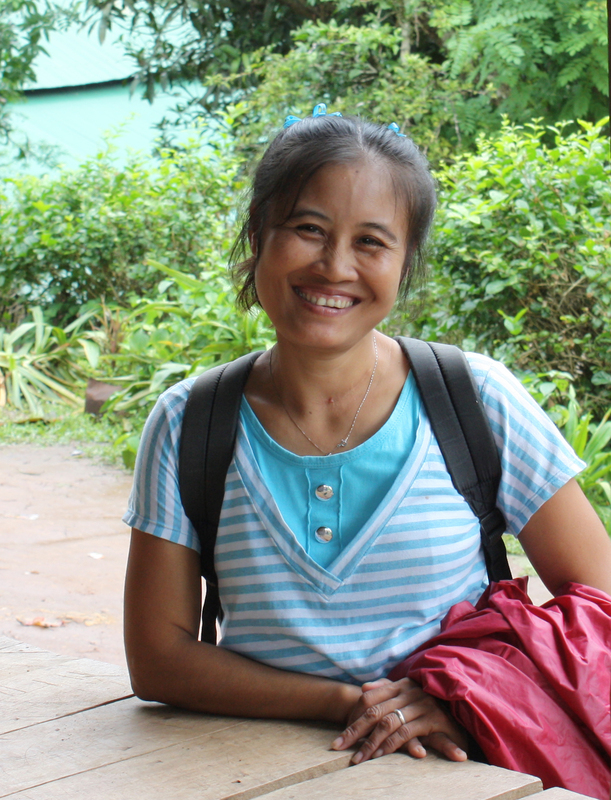 Corina’s mother and sister Paw Teh Khu will continue to care for the orphans she cares for in her house and Paw Teh Khu will take over the running of the preschool ministry and the rice distribution program. We will keep you updated on the changes as they happen. David will be meeting Corina after she arrives in Australia and then will in few weeks’ time travel to Mae-la to work with Paw Teh Khu and the staff as they make the transition to the new project leadership. Australian Mercy will continue to work with Corina as she transitions to her new life in Australia, we are hoping that she can continue to work with us in a consultancy role. This is the third leadership transition Australian Mercy has had to manage in the 20 years that it has been working with this preschool project. We are committed to this project and to the families and children who are involved in it. Donations to this preschool program can be made here.